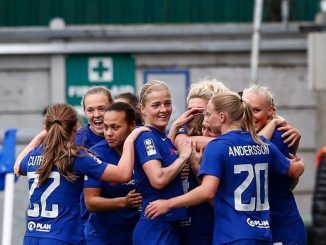 Chelsea have signed Sweden international left-sided defender Magdalena Eriksson from Linköpings. Ready to represent her country at Euro 2017 – having made her senior debut in 2014 – the 23-year-old captained her club to the Damallsvenskan title last year and also has Champions League experience. Eriksson, who has signed a two-year contract and will wear the No.16 shirt, told chelseafc.com ‘I’m so excited to join Chelsea FC. The club really impressed me with its professional environment and it’s the perfect step for me to develop even more as a football player. Manager Emma Hayes added: ‘Magdalena is a top young defender who can play anywhere on the left-hand side at the back. She brings fantastic experience from her four seasons at Linkopings, two of which were as captain. 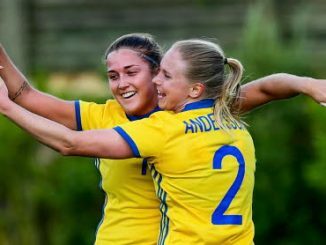 ‘At the age of 23, she has already won a league title and is on the cusp of becoming a regular for the Sweden national side.